Yesterday, I shared a photograph taken by me about the sun spots from my ordinary Sony DSC H-2 camera. Now today when I share the following photograph taken by NASA about Venus Transit, I see the same very spots in almost same alignment when I took the photograph in October 2010. And it gives me great pleasure that I could detect the sun spots as are now clearly visible from NASA's powerful telescopes while observing the Venus Transit which is a black spot on sun's NEE edge. Wednesday Venus moves in front of the Sun. One way to follow this rare event is to actively reload the above live image of the Sun during the right time interval and look for an unusual circular dark dot. The smaller sprawling dark areas are sunspots. The circular dot is the planet Venus. The dark dot will only appear during a few very specific hours, from about 22:10 on 2012 June 5 through 4:50 2012 June 6, Universal Time. This transit is the rarest type of solar eclipse known -- much more rare than an eclipse of the Sun by the Moon or even by the planet Mercury. In fact, the next transit of Venus across the Sun will be in 2117. 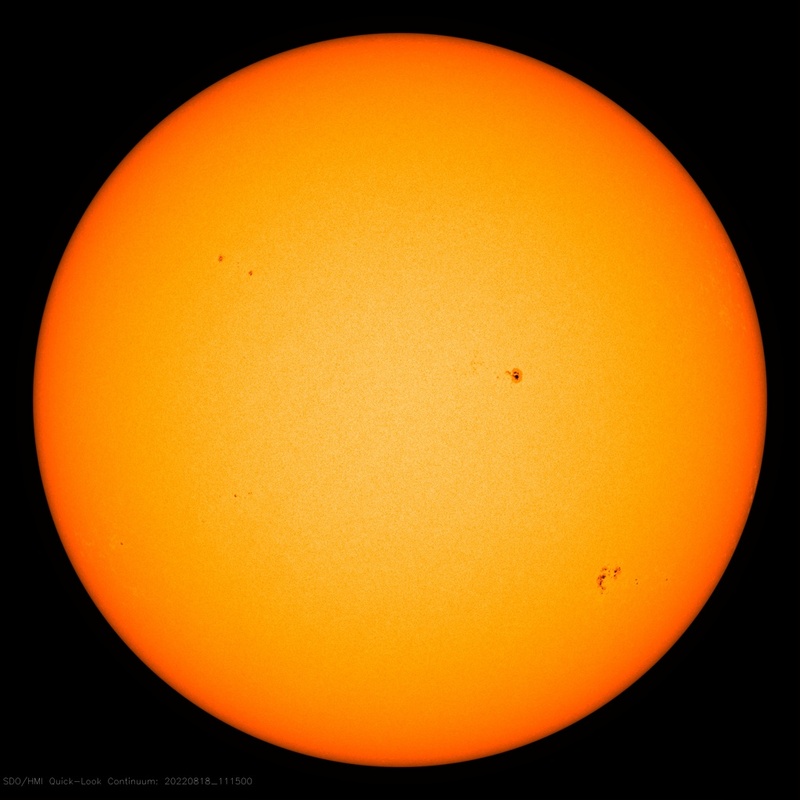 The above live image on the Sun is being taken by the Earth-orbiting Solar Dynamics Observatory and can be updated about every 15 minutes. Editor's note: Since the transit has ended, the live image was replaced by one taken just before Venus crossed out of Sun.